Favorable exchange rates, affordable home prices and rising affluence abroad continue to drive international buyers to the U.S. to purchase properties and make real estate investments.  According to the National Association of Realtors® 2014 Profile of International Home Buying Activity, for the period April 2013 through March 2014, total international sales have been estimated at $92.2 billion, an increase from the previous period’s level of $68.2 billion. International buyers and recent immigrants purchased homes throughout the country, but four states accounted for 55 percent of the total reported purchases – Florida, California, Arizona, and Texas. Florida remains the destination of choice, claiming a 23 percent share of all foreign purchases. California comes in second with 14 percent, Texas with 12 percent and Arizona with 6 percent. According to realtor.com®, the top five cities searched online by international buyers in 2014 were Los Angeles, Miami, Las Vegas, Orlando and New York City. Foreign buyers take many factors into consideration when deciding where to purchase abroad, such as proximity to their home country, the presence of relatives and friends, job and educational opportunities, and climate and location. European buyers are generally attracted to states with warmer climates such as Florida and Arizona while the West Coast tends to attract Asian purchasers. Indian buyers tend to gravitate towards states that are home to large information technology companies, such as California, New York and North Carolina. Within markets in an individual state, it is not unusual to find concentrations of people grouped by nationality, possibly indicating that word-of-mouth and shared experiences influence purchases. 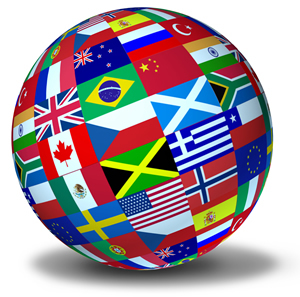 Twenty-eight percent of Realtors® reported working with international clients this year. International sales tend to be handled by specialists and only 4 percent of those who reported having an international client saw 11 or more international transactions in a year. Of those who reported having an international client, approximately 54 percent reported that international transactions accounted for 1 to 10 percent of their total transactions, a decrease from 2013 but still in line with past years’ levels. International buyers are more likely to make all-cash purchases when compared to domestic buyers. In 2014, nearly 60 percent of reported international transactions were all cash, compared to only one-third of domestic purchases. Mortgage financing tends to be a major problem for international clients due to a lack of a U.S. based credit history, lack of a Social Security number, difficulties in documenting mortgage requirements and financial profiles that differ from those normally received by financial institutions from domestic residents. Most homes purchased by foreign buyers, about 42 percent, are used as a primary residence. Non-resident foreigners are limited to 6-month stays in the U.S., so these buyers largely use the property for vacation or rental purposes or as an investment. Approximately 65 percent of purchases involved a single-family home. Nearly half of international clients preferred properties in a suburban area, about a quarter preferred a central city or urban area, and about 13 percent choose to purchase in a resort area. International buyers come from all over the world, but Canada, China (The People’s Republic of China, Hong Kong and Taiwan), Mexico, India and the U.K. accounted for approximately 54 percent of all reported international transactions. Canada maintained the largest share of purchases, dropping from 23 percent in 2013 to 19 percent in 2014; however, China held the lead in dollar volume, purchasing an estimated $22 billion with an average sale cost of $590,826. China was also the fastest growing source of transactions, now accounting for 16 percent of all purchases, up 4 percent from last year. Mexico ranked third with 9 percent of sales and India and the U.K. both accounted for 5 percent.